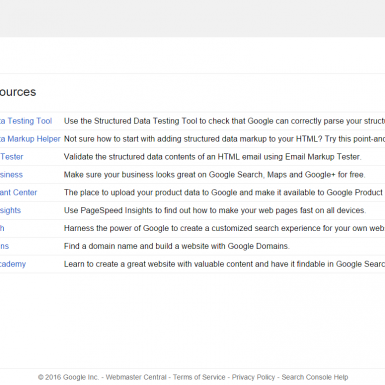 Google Search Console (former Google Webmaster Tools) is a suite of SEO tools straight from Google. Features include information about search appearance, search traffic, technical status updates, crawl data, indexed pages, sucurity issues and educational resources. 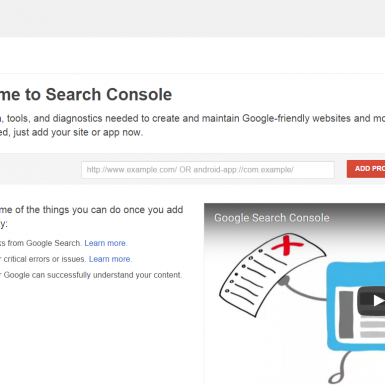 Google Search Console was formerly known as Google Webmaster Central and then Google Webmaster Tools until taking the current name in 2015. GSC helps to track a websites’ state and optimize its visibility in Google. Tip: If you go to “Search Traffic”—>”Search Analytics” for the list of keywords that your site currently ranks for, sort by “Position” so that your #1 ranking in at the top and scroll down, you’ll see #10-#25 etc. 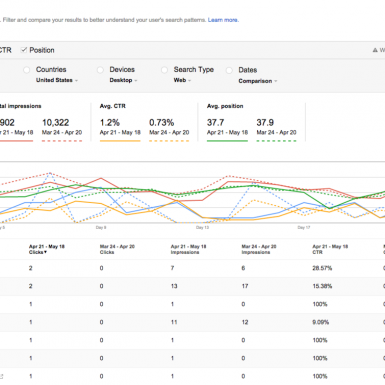 ranks that you can often push to the 1st page of SERPs with a small extra SEO effort. For instance, point a few internal links to that pages.